Of course, the National School Library Standards for Learners, School Librarians, and School Libraries feel new to the many of us who met them in November, but how do they feel to student librarians who are meeting them as their very first set of standards? As LIS educators, we asked a few of our students for their first responses. 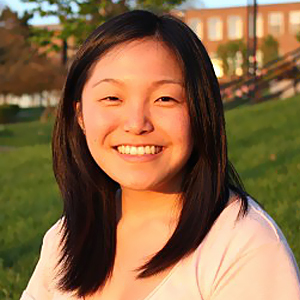 In the Spring 2018 semester, Joyce is integrating them into her Leadership, Management, and Evaluation of School Libraries for the Masters of Information, School Library Concentration at Rutgers University. The National School Library Standards is a required text for the class. In her Fall 2017 Literacy through School Libraries class for the School Library Media Program at the Syracuse iSchool, Sara’s Fall 2017 students learned about the new AASL Standards not through coursework but through introductions to the preliminary materials released before the AASL National Conference in Phoenix. She asked her former students their reactions, which serve to illuminate the needs of new professionals. We found that, just as these students displayed understandable trepidation, their enthusiasm to bring the AASL Standards into their early professional practice is both refreshing and a reassuring model for current practitioners. Interestingly, we could see the emergence of more than one of the AASL Standards implementation personas in their responses. 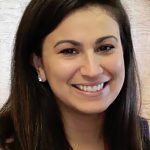 Taylor Domenick, who plans to graduate from the Rutgers MI program in Spring 2018, is one of Joyce’s many promising young students. She is currently a youth services library assistant at the Newburgh (NY) Free Library. Taylor is clearly a Noah (newbie) eager to grow into leadership. At first, I felt a little out of sorts. I was expecting the former standards with some new language; I didn’t realize it was going to be a totally new overhaul. It took a little bit to get reacquainted and learn the differences between the standards for learners, librarians, and libraries. I knew that new standards had been released and I tried exploring them on my own, but it was a lot to take in all at once. I think having them introduced slowly through different discussion threads and assignments is helpful. Plus, having the open dialog with classmates can be really illuminating and helps to unpack aspects of the standards that I hadn’t thought about. I was familiar with the 2007 Standards, but I don’t think they seemed as important to me as the newly released standards feel. I used these standards to create objectives for lesson-related assignments. But thinking back, I think they were great guidelines for most of the academic work I’ve done for my MLIS degree. As I take on a new role as a new library media specialist, I feel comfortable knowing that the standards are there to guide me. As I move forward with changes and improvements to my school library program, I can use the standards to make sure everything I’m implementing is a step in the right direction. Dr. V. asked if I could come up with a metaphor for the standards. I want to say an onion, because of the many layers, but that doesn’t feel quite right. So maybe more like layers of armor that help me become a better media specialist? 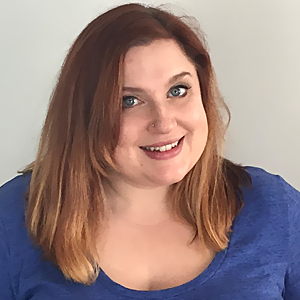 Jacquelyn Tasker, who plans to graduate in January 2019 from the Rutgers iSchool, has had some experience working in public and academic libraries. Also one of our Noahs, she first met the National School Library Standards when she attended an introductory session led by Joyce and LaDawna Harrington prior to our Spring course. Jacquelyn reminds us of the newness of vocabulary and the standards’ unfamiliar structure. I heard the first breakdown of the new standards at the New Jersey Association of School (NJASL) conference in November 2017. 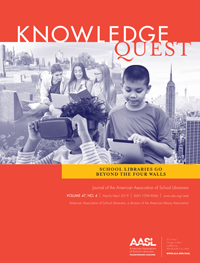 Although the concepts felt familiar, the structure and interplay of Shared Foundations, Domains, and Competencies for students, librarians, and libraries felt overwhelming. I didn’t know where to begin to really digest it all. I was familiar with the 2007 standards. I had used them in a few assignments. The four main statements of the 2007 standards made sense. However, writing out every indicator students would exhibit when writing lesson plans was time consuming. Now that I feel confident navigating the new standards, I find them easier to connect with activities we are doing in the library. Even if I end up working in a school library that does not require me to write standards-based lesson plans, I intend to use the standards to guide my planning and instruction, and to show my value in the school. Becky Leathersich, a December 2017 Syracuse iSchool grad and Churchville-Chili CSD (Rochester, NY area) Middle School Librarian, is a Noah who is quickly on the road to becoming an Inez (innovator) both through her instruction at her school and involvement in regional, state, and national library associations. Rebecca sees the value of the AASL Standards for advocacy. I was first introduced to the new standards through various webinars and magazine articles. I felt lost and incomplete, as I felt like I was jumping in without context. So, I began reading the standards book and felt more comfortable; it does a good job at describing how the standards evolved and how they compare to the 2007 standards. I was very familiar with the 2007 AASL Standards. I used them most frequently when I was creating individual lesson plans and reviewing current curriculum to see how our curriculum matched the standards or skills needed for a 21st-century learner. I am already planning my implementation of the new standards. Our district has a research class for 5th- and 6th-grade students that we are in the middle of reshaping to reflect the strengths and gaps in our students’ knowledge and skill sets of information, research, and technology. I plan on embedding the standards into the revised research curriculum. I think that oftentimes our school colleagues forget that we have standards and curriculum to teach, as well. In addition, I intend on using the standards as an advocacy piece to share with my principals and library department supervisor. 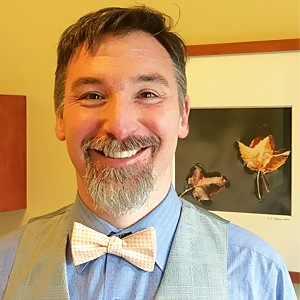 Steve Tetreault (Rutgers) is currently a middle school English teacher (a Tony), with an Ed.D. in administration and supervision; he is also clearly a Leon, a lead learner. Steve values the interdisciplinarity and timelessness of the Competencies addressed by the National School Library Standards and appreciates the availability of the documents shared on the AASL Standards web portal. 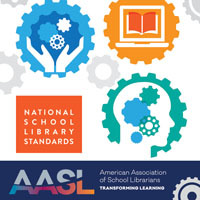 Before I began the Leadership, Management, and Evaluation of School Libraries graduate class, I was not at all familiar with the new AASL National School Library Standards. I had encountered the 2007 library standards in bits and pieces throughout other courses, but I had not yet had the new standards addressed as a complete package. I must say, as a veteran teacher who’s been working with various English standards for twenty years, the AASL standards were refreshingly well organized and well articulated. Although they take a little bit of getting used to on one’s first encounter, they do fit together nicely. The availability of documents like the one-sheet “AASL Standards Framework for Learners” make it much easier to wrap one’s mind around how the Shared Foundations and Key Commitments integrate with the Domains and Competencies. 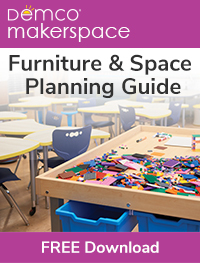 Indeed, this document makes an excellent hand-out that school library media specialists can provide to teacher-colleagues to help connect the work of the school library to the curriculum of the school. To my mind, it seems it would be very difficult for a school librarian to not implement the new standards within his or her practice. These are foundational elements of what a quality library program should be. They focus on cross-disciplinary literacies and learning concepts, and they encourage students’ engagement with their educational process. Although they are being touted as “21st-century skills,” they are, in fact, the skills that schools should have been fostering from the very beginning: enrichment of the mind via inquiry-based learning, careful consideration of information, curation of reliable sources of information, creation and sharing of sources and information. It’s not even been a full semester, but as educators, it is encouraging to see the willingness of our pre-service students to jump right in. What can we learn from this handful of early responses? Taylor recognizes the value of a guide and a cohort to explore not only a substantial document, but how it might guide a practice to which she is just entering. Becky is finding the new AASL Standards as equalizing her collaborative curriculum design work with teachers and sees them further representing the role of a strong school library in the eyes of decision-makers. Jacqueline alerts us that it takes some time to develop a big-picture understanding of the structure of our integrated AASL Standards. Like many of the students who enter our profession, as a Tony or as a Leon, Steve is able to see a picture, perhaps broader than many of our own. In ways that some of us veterans cannot, he is able to interpret—to translate without an accent—the connection of our professional standards with those of our classroom teaching partners, instructional coaches, and administrators across the culture of school. The National School Library Standards are particularly alien to those just entering our field. Nevertheless, our students demonstrate a sense of excitement that can inspire us all. And we can very intentionally observe and empathize with the issues, and we can celebrate the insights of our newest professionals when they make close encounters of the AASL Standards-kind.